The children have really been missing LEGO Quest. This is LEGO building number something of something. They are always building something and asking me to post it on the blog. Well, here is another LEGO creation of many more to come. Lily made this one and I am finally getting around to taking a picture and sharing it. Since we are members of the “Y-team,” prepare for more to come. 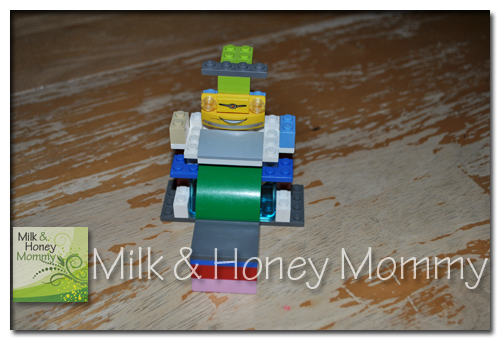 Do your children ask you to take pictures of every single one of their LEGO creations?